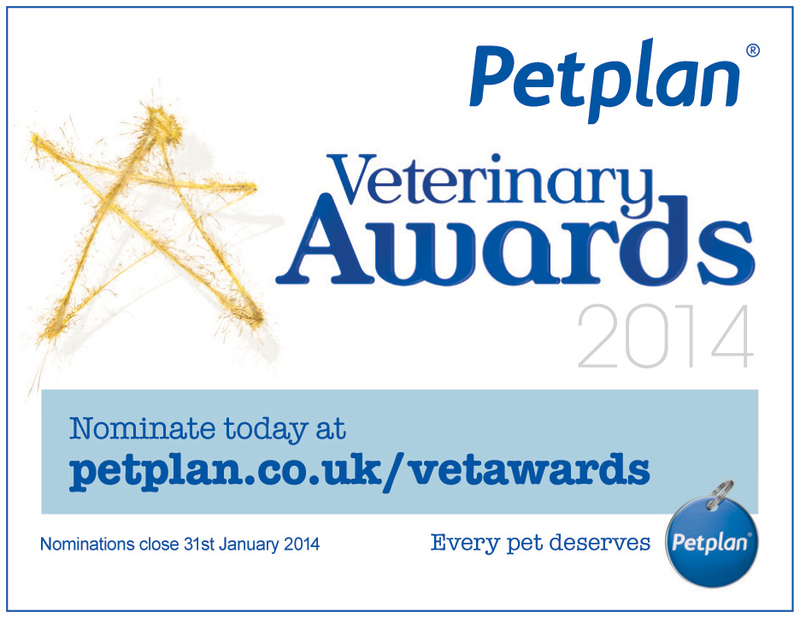 The nominations for the Pet Plan veterinary awards are open! We would be most delighted if you would take the time to nominate the practice. Click here or on the picture for more information and to make your nomination. Alternatively you can come into the practice where we have printed forms for you to fill out.